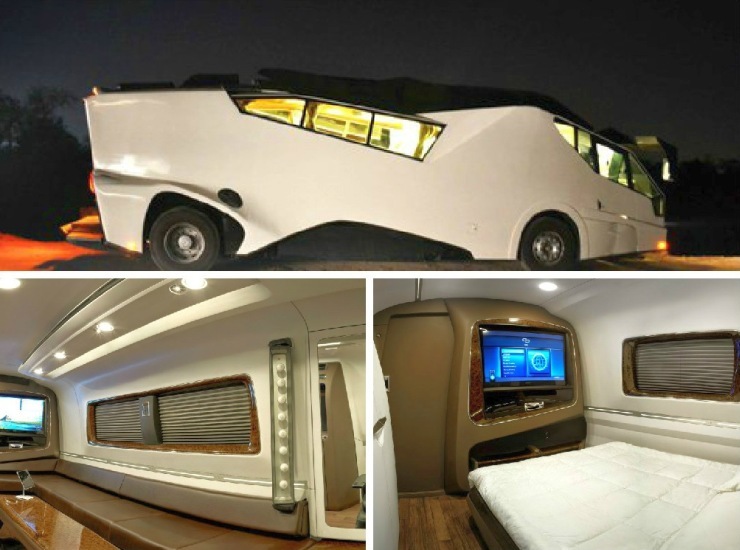 In one of his earlier blog posts, Amitabh Bachchan had revealed that the concept of vanity vans was introduced in the country by Manmohan Desai. 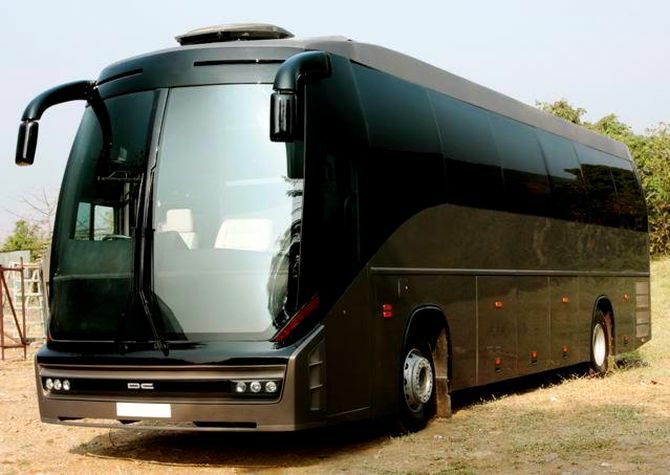 Now everyone, including Big B’s youngest granddaughter has one. 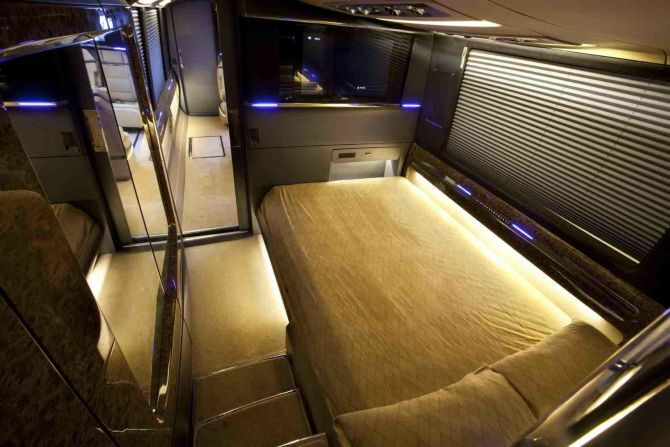 And it isn’t just a way of travelling in comfort and style, given the opulence associated with the current vanity vans, they sure are another way of flaunting one’s assets – monetary ones, of course. 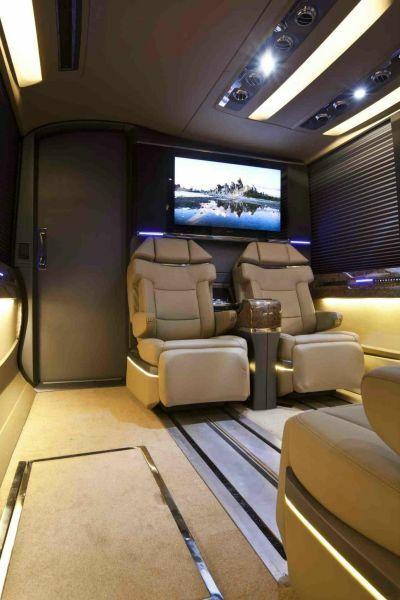 We take a look at vanity vans of five stars in the country who have been associated with cars and bikes on and off screen. Far from the Yezdi that he rode in Kabhi Haan Kabhi Naa or the plethora of Hyundai vehicles that he piloted (he did his stunts himself, didn’t he? 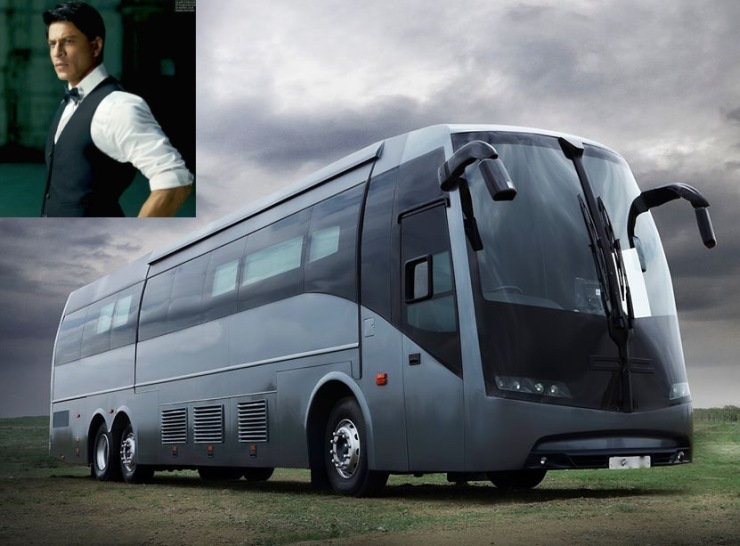 ), Shahrukh Khan or ‘King Khan’ as he’s lovingly called recently got himself a Volvo B9R-based vanity van. 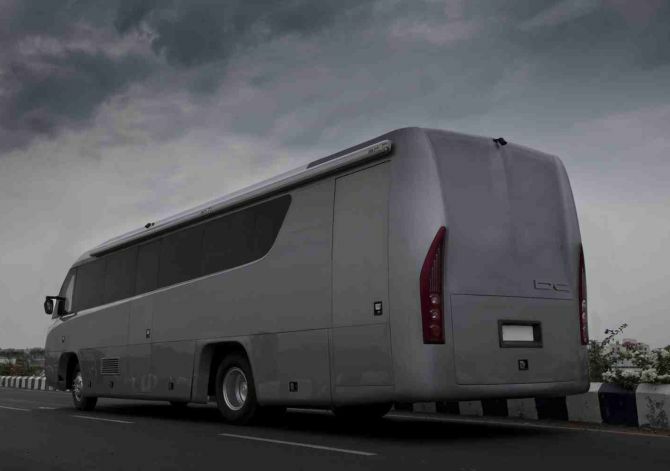 The multi-axle vehicle was designed and modified by DC is 14 metres long, has four rooms, one of which can be increased in space thanks to a hydraulic system, Tron-like lighting, a proper music system complete with Apple TV and 4k screens, and also a kitchenette. That’s surely king-size, because it’s about the king himself, isn’t it? While tabloids may continue to talk about Shah Rukh Khan and Salman Khan’s rivalry, they both have a lot in common. 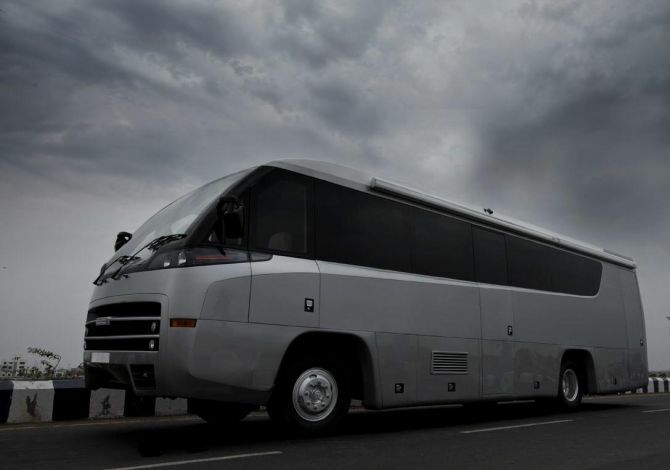 Apart from the huge fan following, ability to impress mere mortals with their good deeds, there’s the love for vanity vans that they have in common. 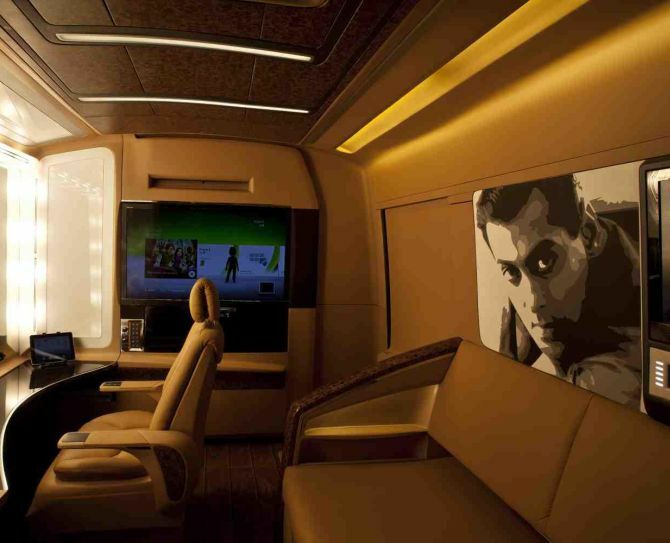 But unlike Salman’s movies, which are more often than not all about the glitz (if not glamour), his vanity van is slightly different. It doesn’t seem too loud, nor does it look over the top. It’s subtle and functional. While he must have impressed his audience without dance skills that were beyond belief, acting that was always commendable, and the charm that neither the oldies nor the youngsters have. 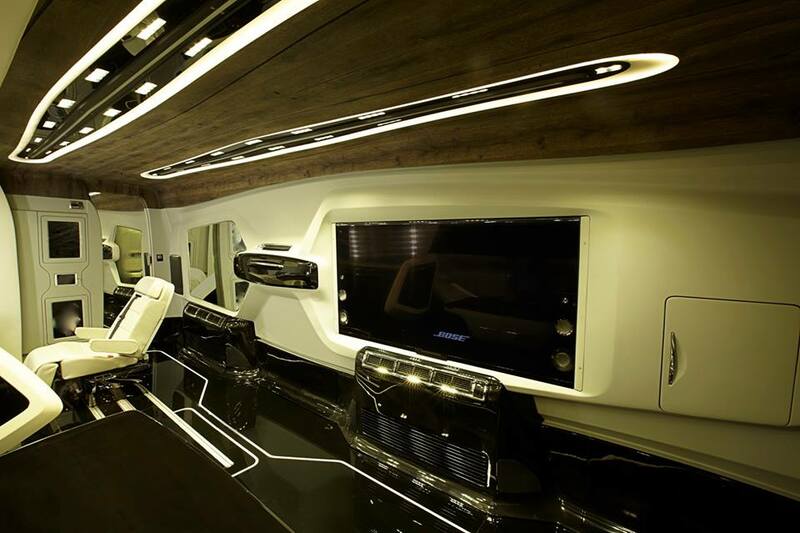 And his 12-metre long vanity van exudes the same, especially the interior. 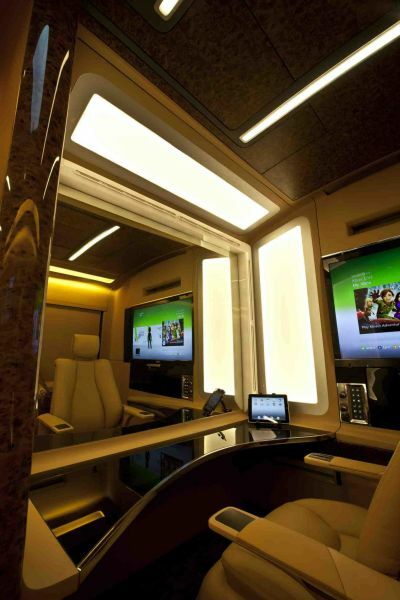 With a lounge, a large TV, four individual captain seats, and liberal use of wood, the vanity van is all about class. 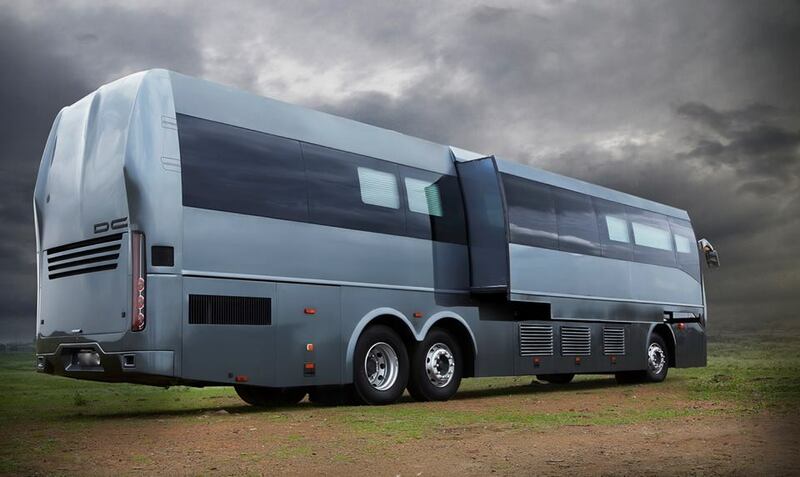 The single-axle Volvo based vanity van of Sanjay Dutt looks like a moderately modified bus on the outside, but inside, it’s the exact opposite. 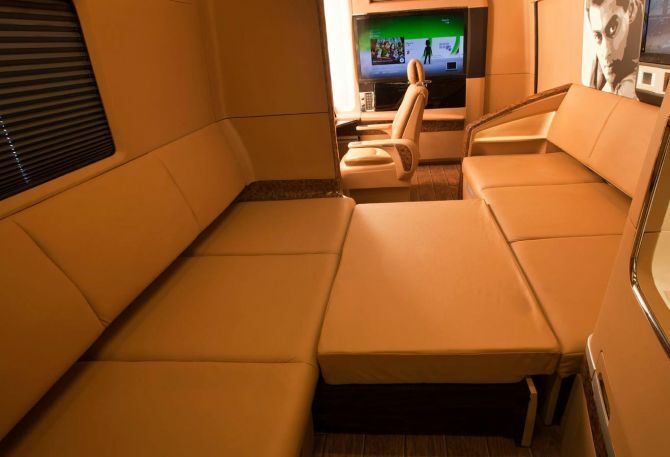 The extensive use of white for interior panels, leather, etc. 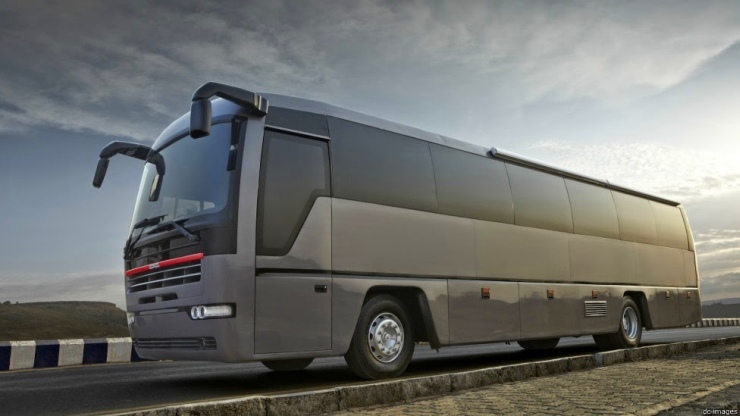 is complemented by the presence of contrasting black panels. 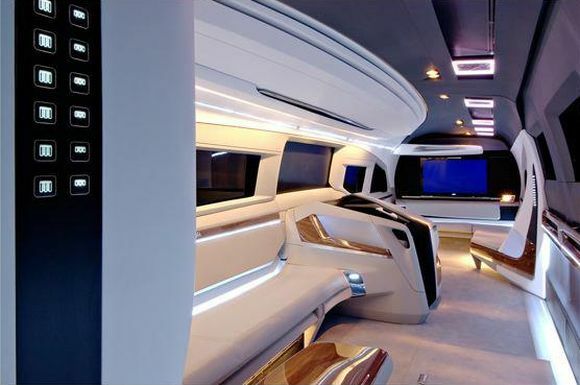 It looks futuristic, probably how Star Trek appeared to us kids of the 80s and 90s. 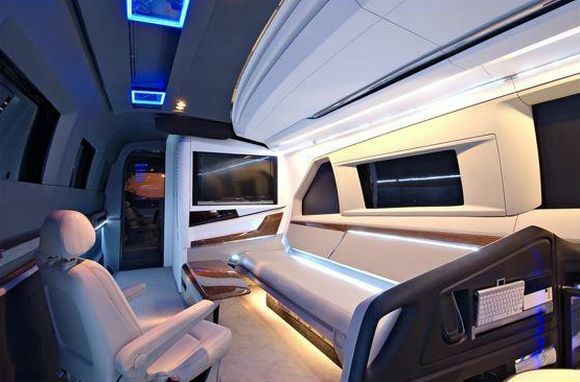 If it’s not futuristic, what is? 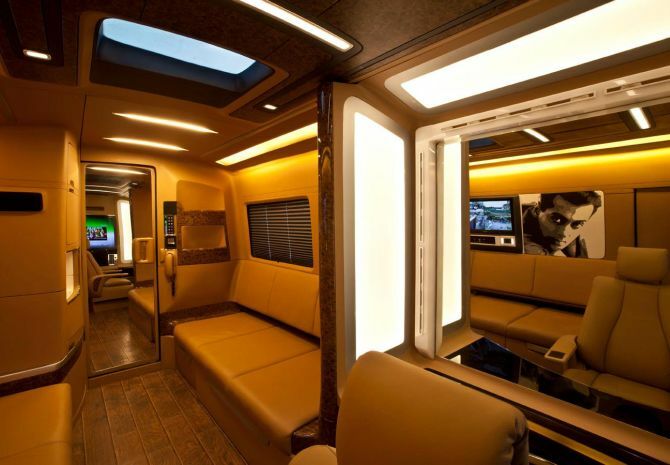 Ajay Devgn loves cars, but his vanity van is what will get petrolheads interested. 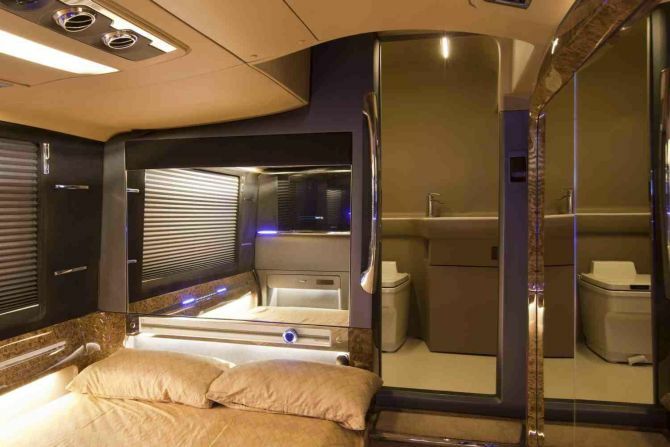 The man’s gotten himself a very weird looking vanity van that’ll either have people gushing praises or mouthing profanities. 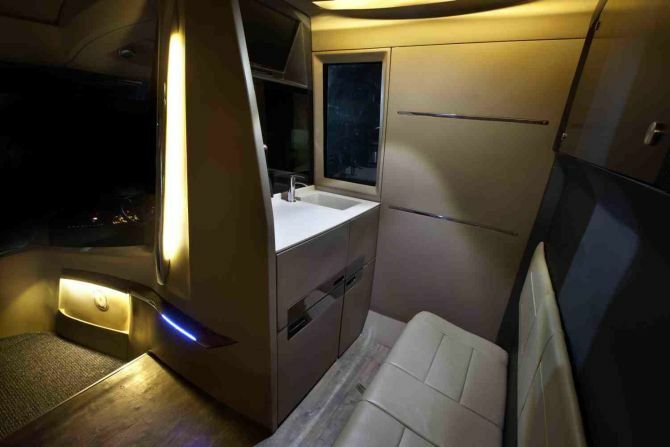 There’s no no middle ground with this one.The vanity van had an office, a bedroom, a bath room and a kitchen when Devgn first bought it. Now though, it has a gym inside.